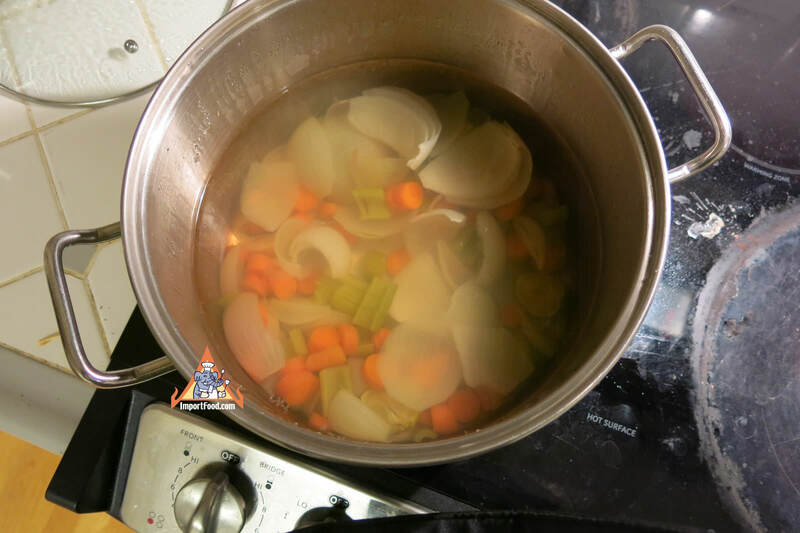 Put 18 cups of water into a stock pot, add stock ingredients, cover and simmer for two hours. 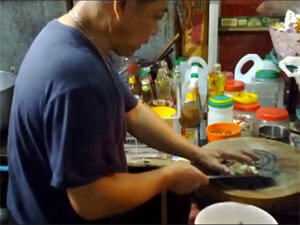 Wash the prawns and shell them without removing the tails. 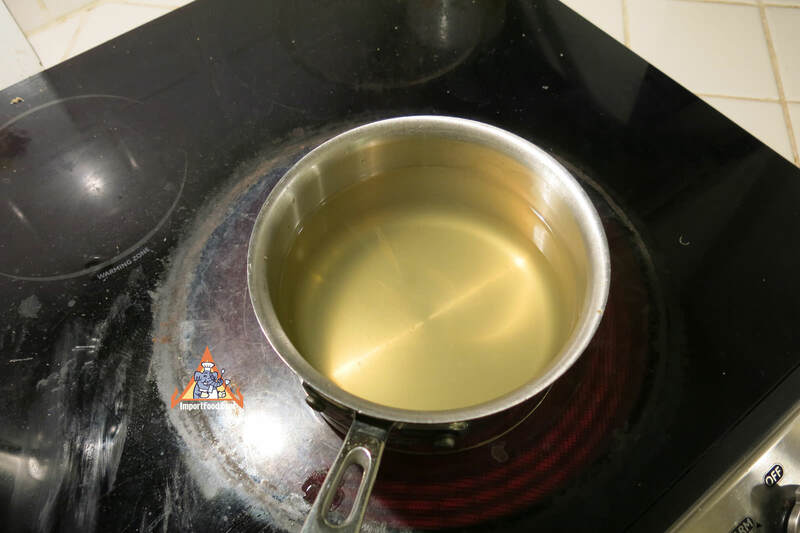 Bring stock broth to a boil. 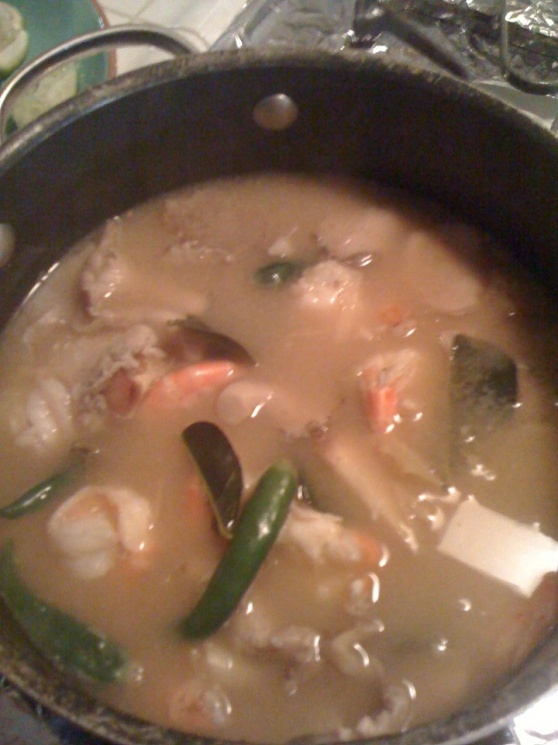 Add lemongrass, galangal, fresh chile, and lime leaves. 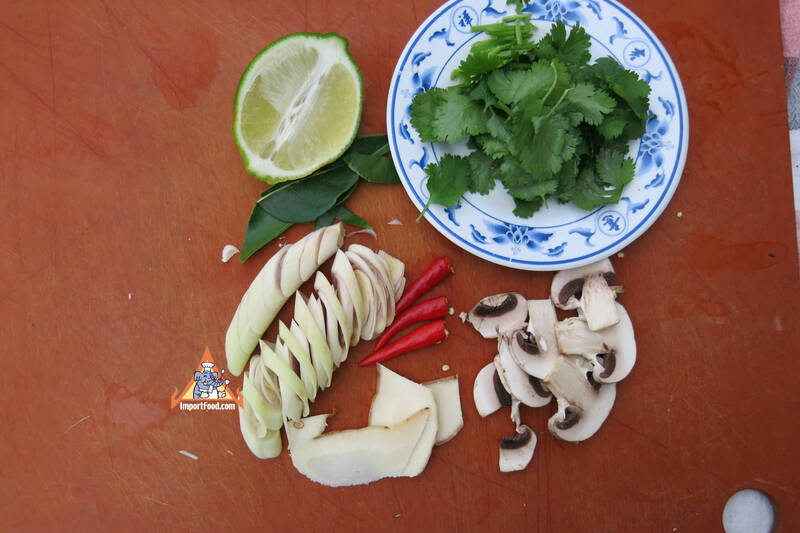 Bring back to a boil then add mushrooms, fish sauce, prik pao and lime juice. 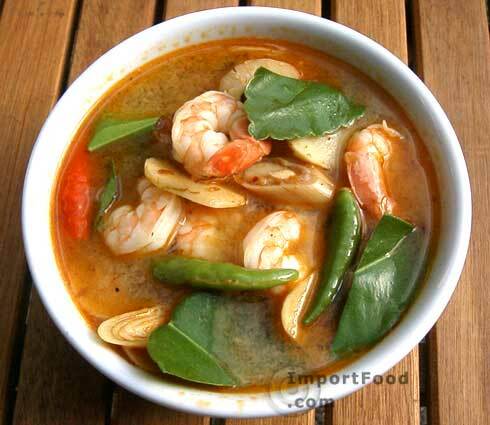 Add prawns. 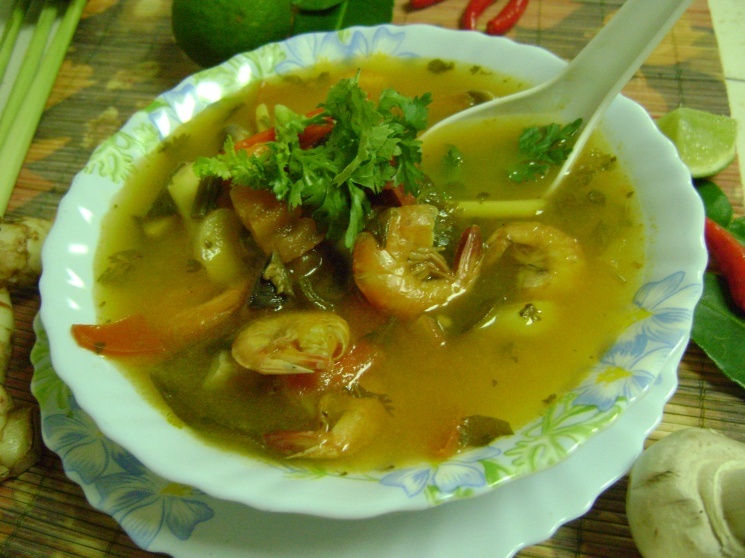 As soon as prawns turn pink (cooked through) serve garnished with cilantro. 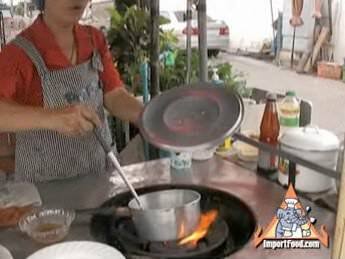 A popular variation is to serve tom yum "sai nam kon" which means a spoonful of coconut milk or, many street vendors will add a spoon of evaporated milk. 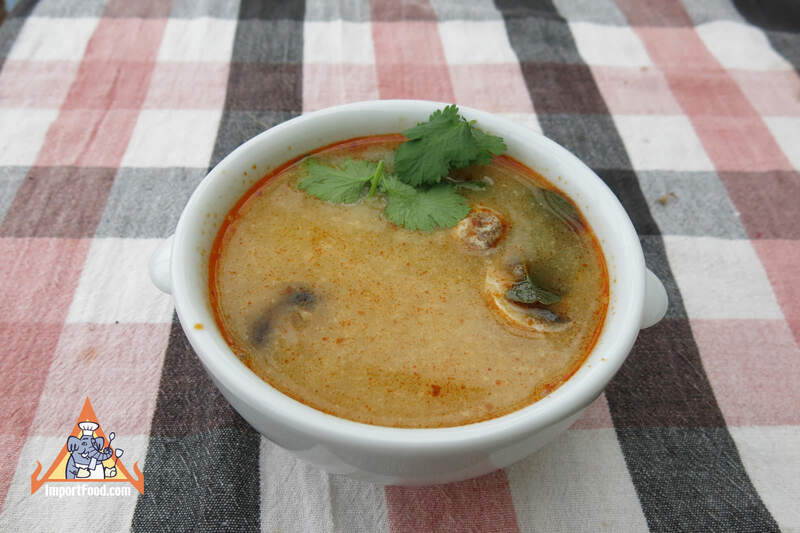 We like tom yum nam kon and enjoy adding tablespoon of our Tom Kha to it. 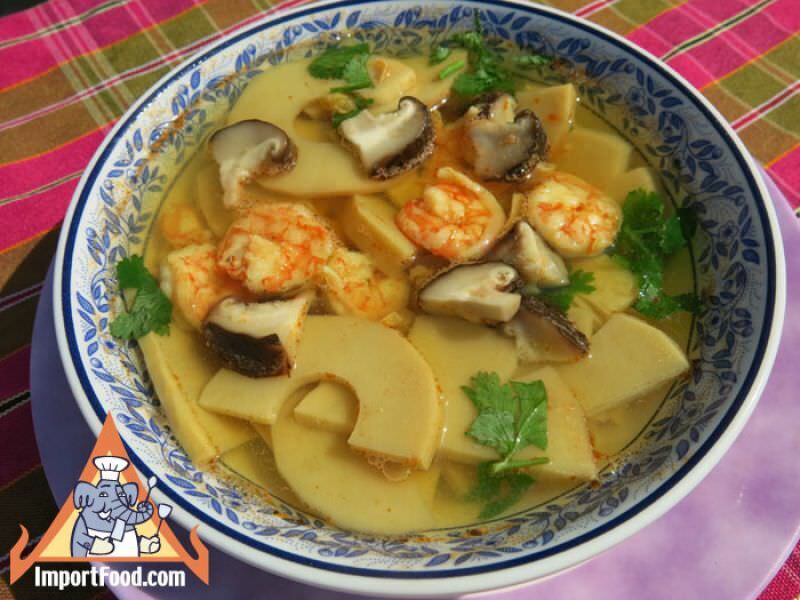 Note that a popular way to make this dish is with a ready-made tom yum paste or tom yum cubes. ImportFood.com has some options for you. 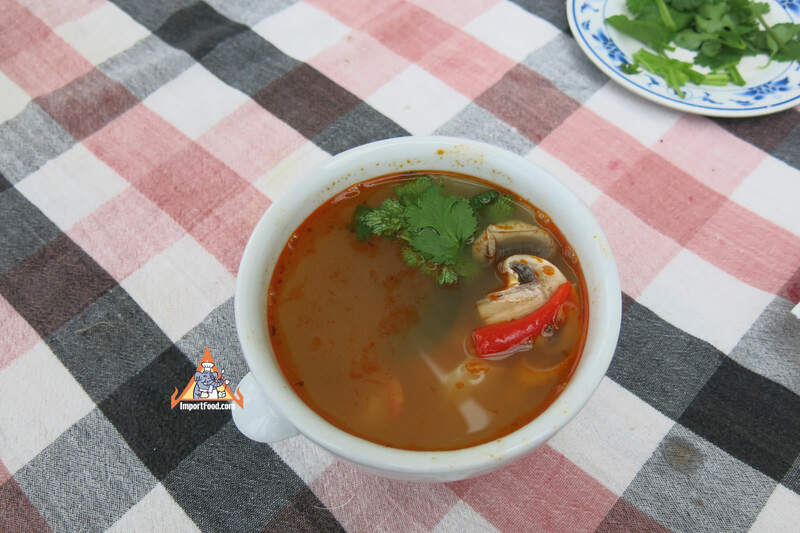 Our Instant Tom Yum Paste, is imported from Thailand and a pretty good product for making tom yum but you'll need to adjust some flavors. 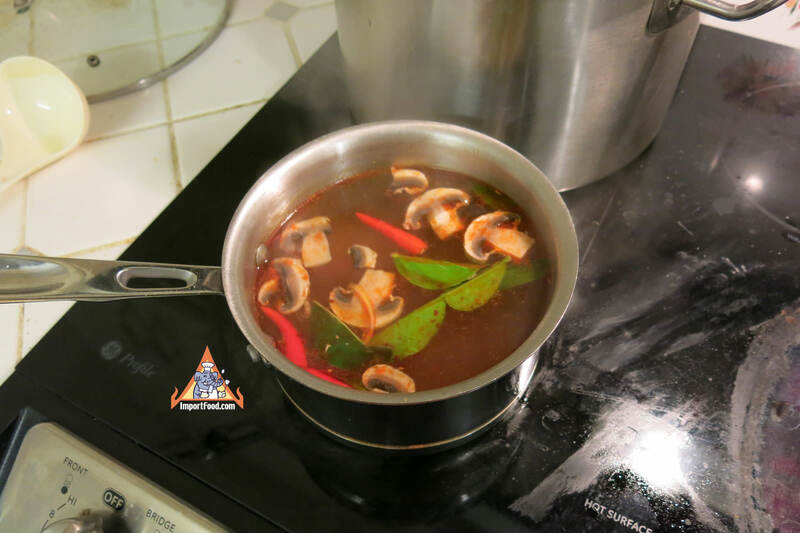 Add two tablespoons Tom Yum Paste to three cups boiling water, add 1.5 teaspoons salt, add mushrooms and prawns, add 1 tablespoon fresh lime juice, add 5-7 Thai chile peppers and onions, and serve garnished with cilantro. 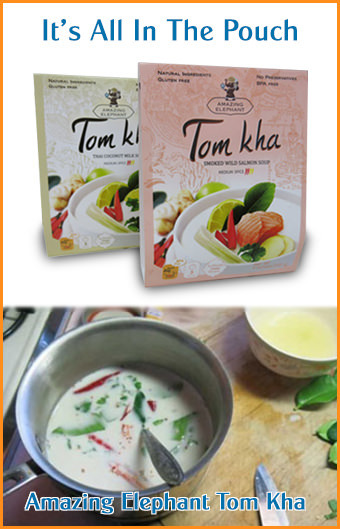 An alternative to Tom Yum Paste is our Tom Yum Cubes which you can use to make the above soup. 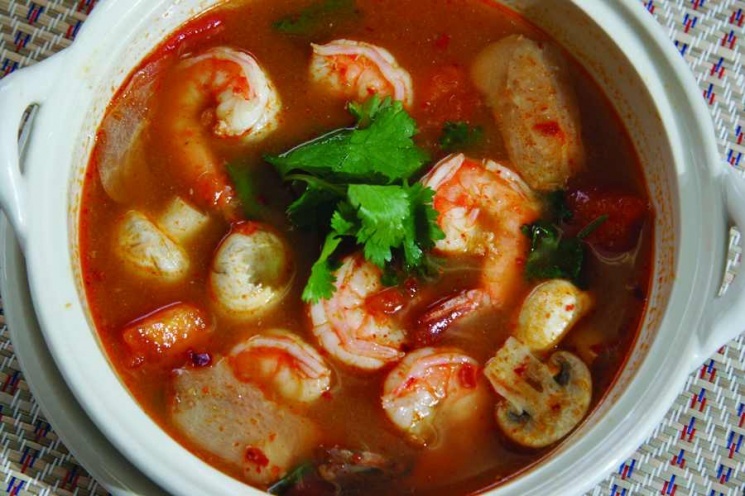 These alternatives also add fragrant, delicious Tom Yum flavor to just about any kind of noodles, and both are quite popular. 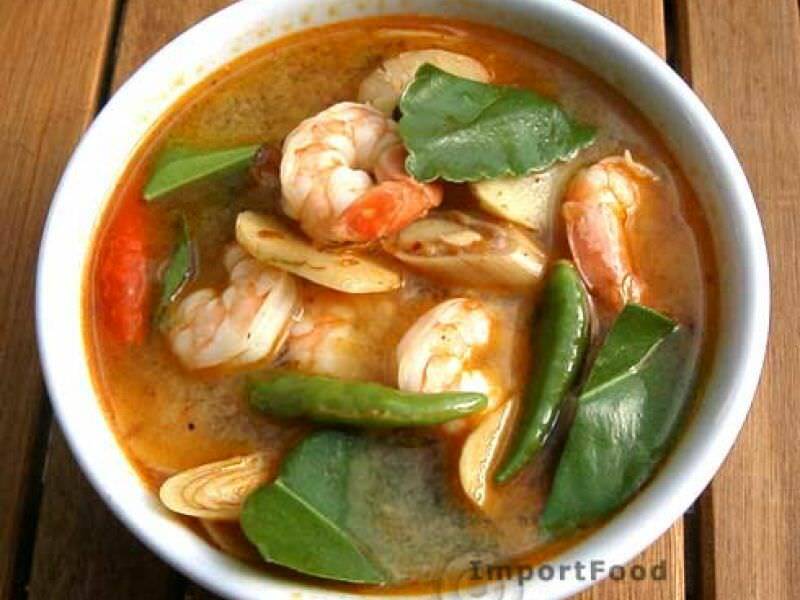 To make your tom yum extra spicy, add Thai Fried Chilli Paste for Tom Yum. Awesome recipe! I also added some roughly chopped tomatoes....yum!!! 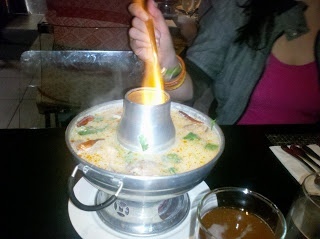 I have it with a side of white rice that i dip into the soup. Better than what I get in the restaurants. 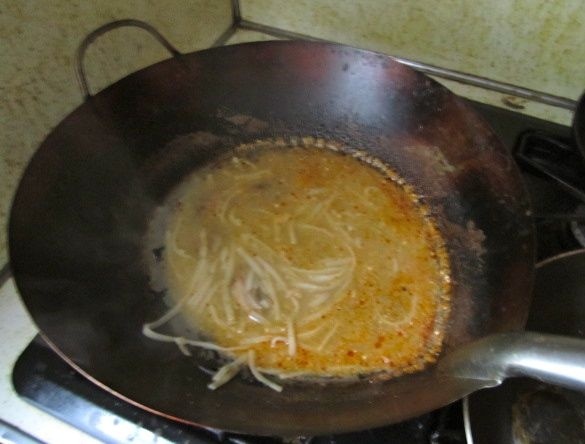 Hi, this recipe looks great. I was wondering how many people this recipe is for, please? Thanks! 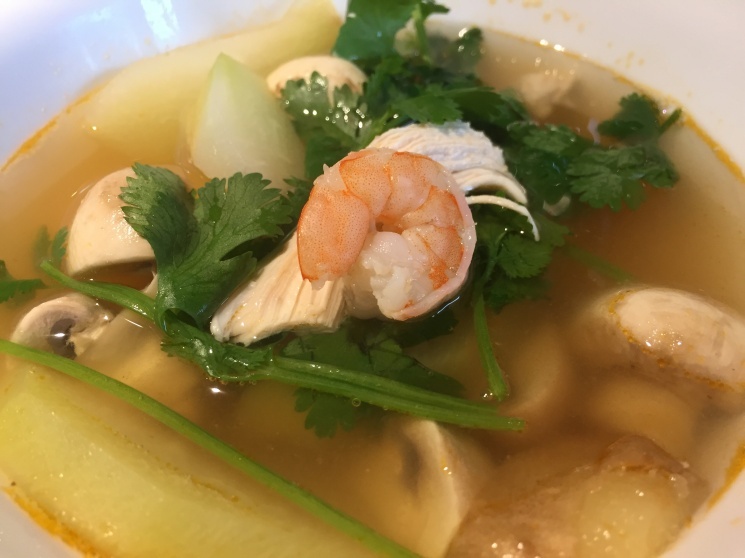 Excellent, many thanks for the instructions on how to use ready made Tom Yum paste, I just made a delicious meal I will try making it from scratch next time! Judging by the cups of stock I would say 4 mains or 6 entree size serves. To make it more substantial I added bok choy and sliced carrots. 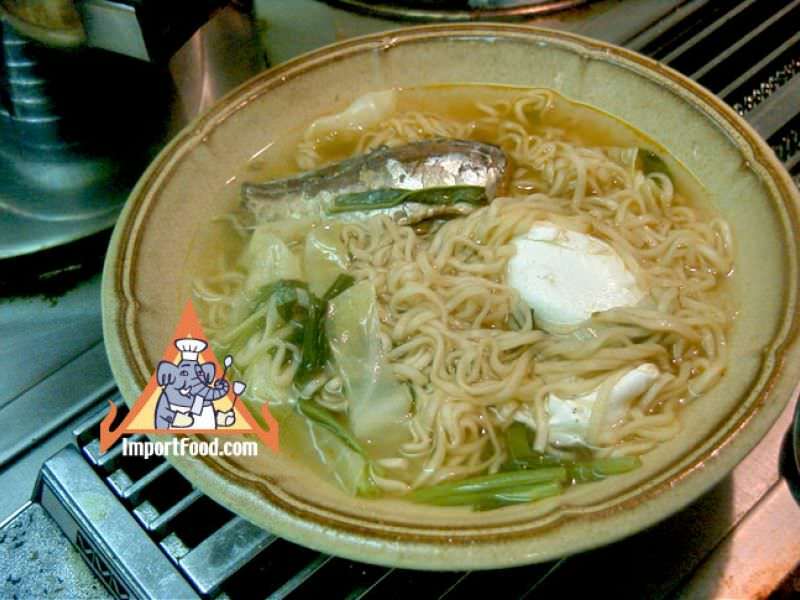 This soup tastes just heavenly. Best of all soups. Today is the first time I tried it and it came out wonderfully delicious, just like restaurant style. 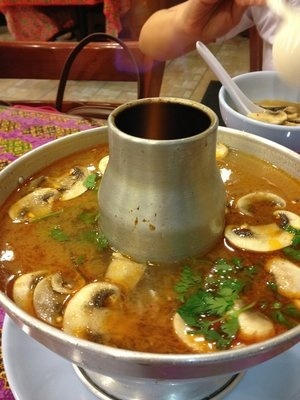 Me and my hubby really enjoyed our afternoon lunch of Tom Yum Soup. Thank you for the recipe. 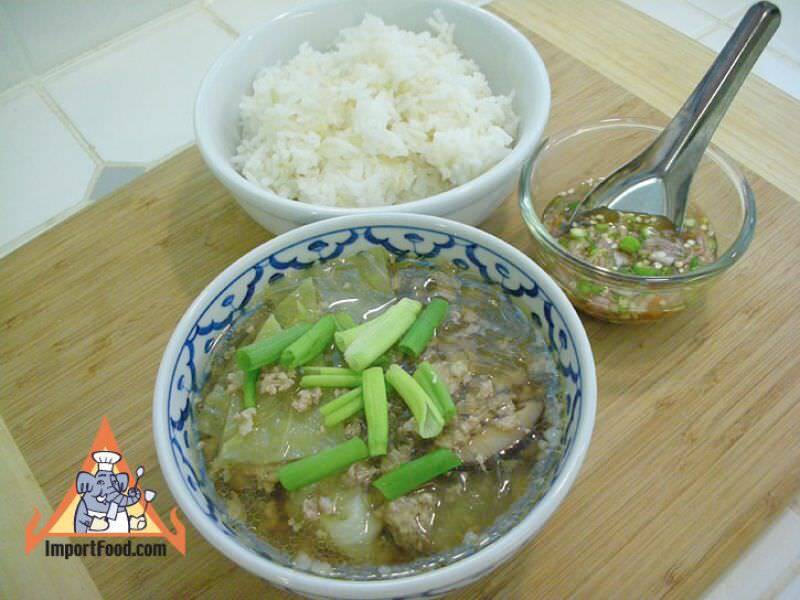 Tonight was the first night I made this recipe, but it was a HUG hit, just like all of the other recipes on this site! 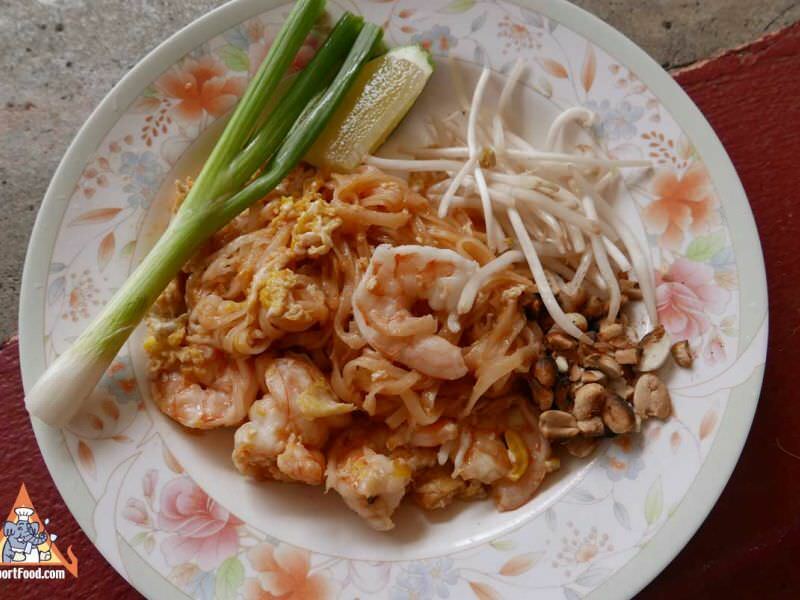 Thank you for sharing the hints and delicious recipes! What kind of prawns has everyone been using? 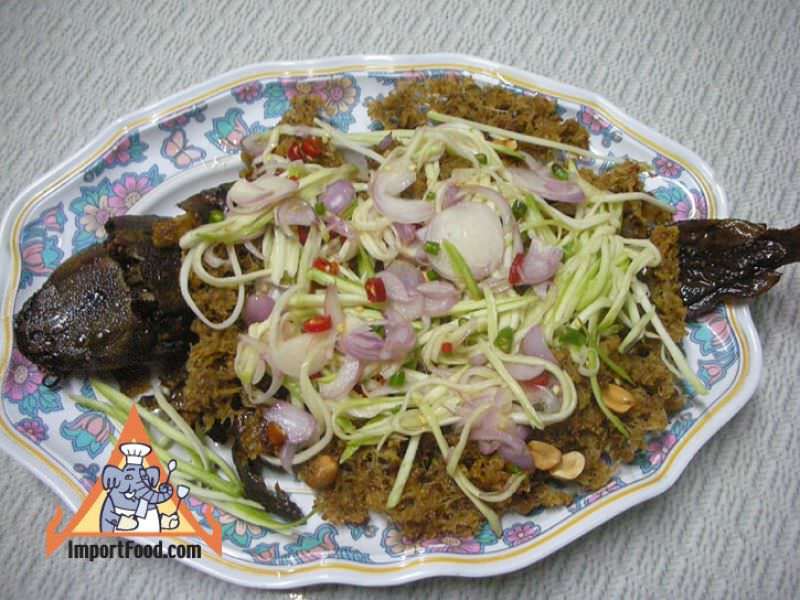 whole fresh kaffir lime, quartered , if this correct, certainly you don't leave them in for serving.